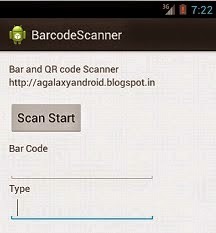 This android app will read Bar code and QR code. It is based on zxing, so after install it download zxing. it will automatically detect zxing in you mobile. if not found then ask you about to download automatically.